The first thing to do is to set the camera offset. 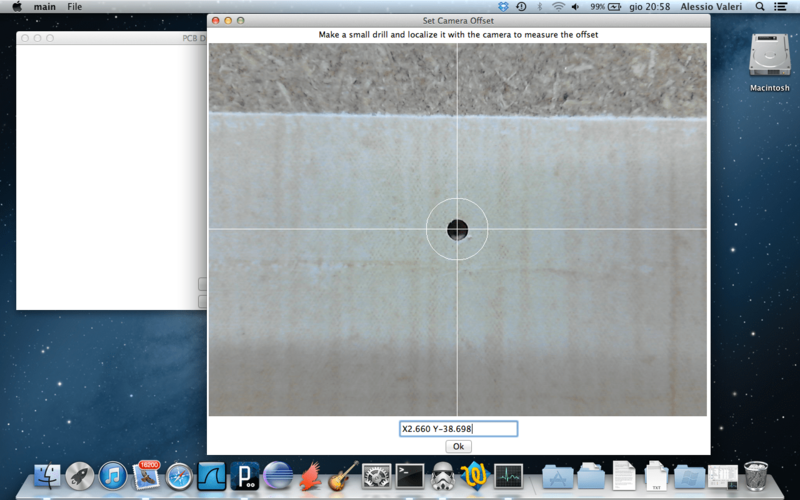 For convenience I drill a reference hole touching off at X0 Y0 and I locate it through the camera view. The coordinate now displayed on the machine is the actual offset. Now I can pick up three points and locate the relative pads center trough the camera. It is common sense to not choose points that lay on a straight line. Of course the farther the points are, the better the result could be. I’ll be awaiting your code release, and brushing up on CV through Python in the meantime! At my university we don’t have any CNC equipment available for students, so I do all the work for my projects in a manual machine shop. 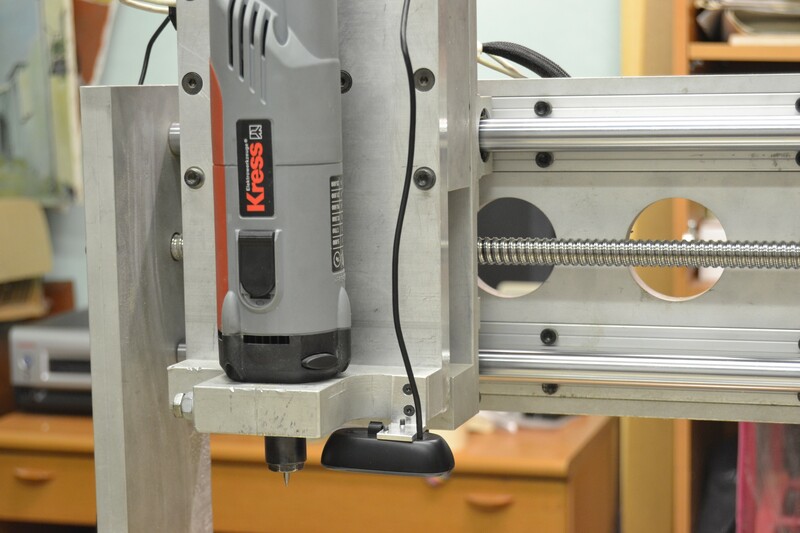 In order to do accurate work, I have to spend a lot of time just lining up the work-piece to the axes of the milling machine, and yet more time locating the spindle in reference to features of the part. Therefore I am very impressed by your process which automates some of that process, effectively aligning the machine to the part, instead of the other way around. Greetings from the USA, in the middle of the hill & hollers of West Virginia! And, on running cheese, a photobooth sort of an application, cheese found it and displays a truly great picture. Its round, about 3cm in diameter, and appears to be able to autofocus down to about the 80mm range which should be usable. So my question for you, is how did you go about getting the crossed hairs display superimposed on your video? Cheese has some effects that can be used to modify the image, but of the choices, there aren’t any crossed hairs. From the looks of what is sitting in /usr/share/cheese/effects, they are all .png’s. But I am unsure of how to go about adding a set of crossed hairs with a transparent background to the cheese effects menu. Your code in align.zip is OS independent so I don’t expect to have any problems incorporating those bits & pieces into LinuxCNC. with the above link unless I skipped something. with the camera plugged in and showing a good pix if cheese is being used. So it looks like a very minor configuration error. 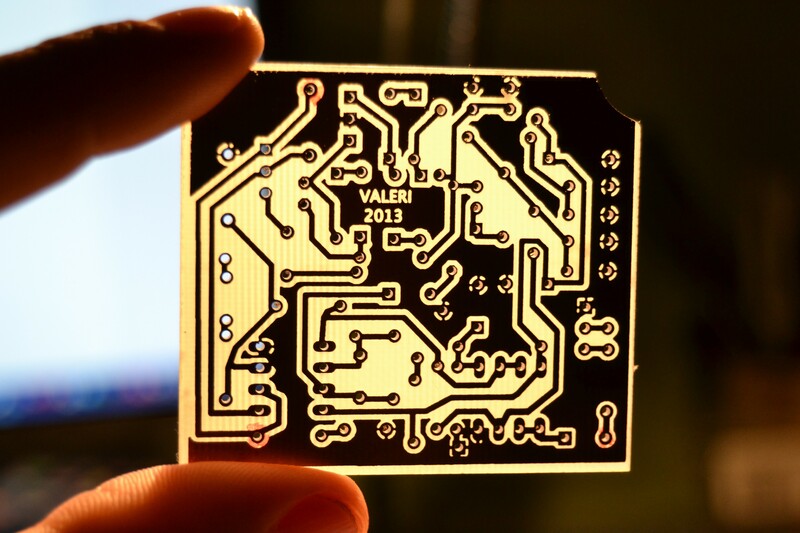 In your video, at the end, I can see you make the final board cutout, and the PCB it’s aligned in the same way you did the holes. Do you have another routine to transform the coordinates from the cut-out g-code ? Yup, I finally got me a new domain name registered! No more screwing around with dyndns for a static address. 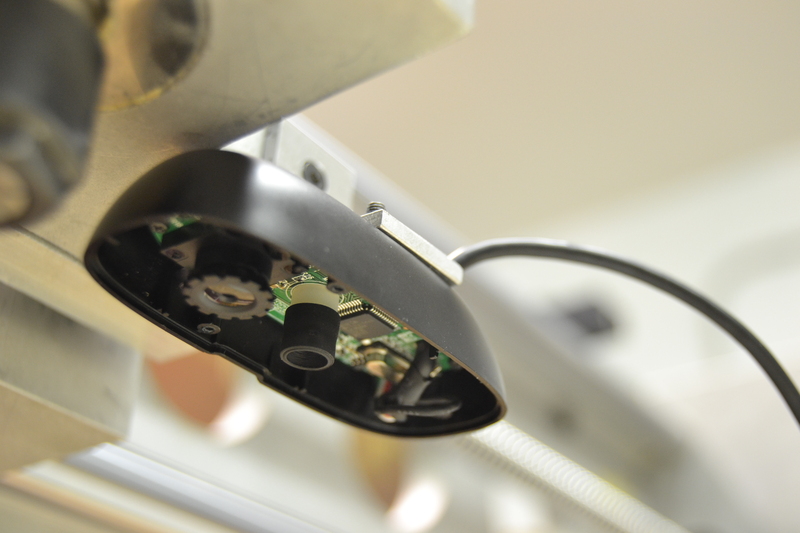 Its been some time & experiments with various cameras, currently I have an endoscope wannabe mounted and it looks usable. A screenshot has been put in the tmppix link of the above web page. But ATM, the HALUI vs various buttons seems to be out of synch, apparently it enums the MDI commands. I have installed a small offset in both direction in the tool.tbl at T99 P99, but that isn’t causing any motion when I check or uncheck the G43H99 checkbox although the check marker is drawn or cleared. I have also installed (msg, this is “filename”) in those files, however none of the “align” related buttons appear to be linked with any of this. The buttons shade when clicked, but ANAICT nothing is happening. From reading the code in camstore.ngc, I am assuming that is what should be executed when I click the Save XYZ button, but that isn’t what I am getting. Some guidance on getting all these buttons back in synch would be a great help. However (doh!) I see that I have not been editing the files by the same name in the nc_files directory. Suggestion: Can we assign a different directory for all these extra files to reside in with a new phrase in the main .ini file? and then use this $VAR/filename in the HALUI stanza? My nc_files directory has been in service 7 or 8 years, and has collected tons of cruft, and I’d like to put this stuff in its own ~/gene/linuxcnc/camview.stf directory, making it much easier to track. 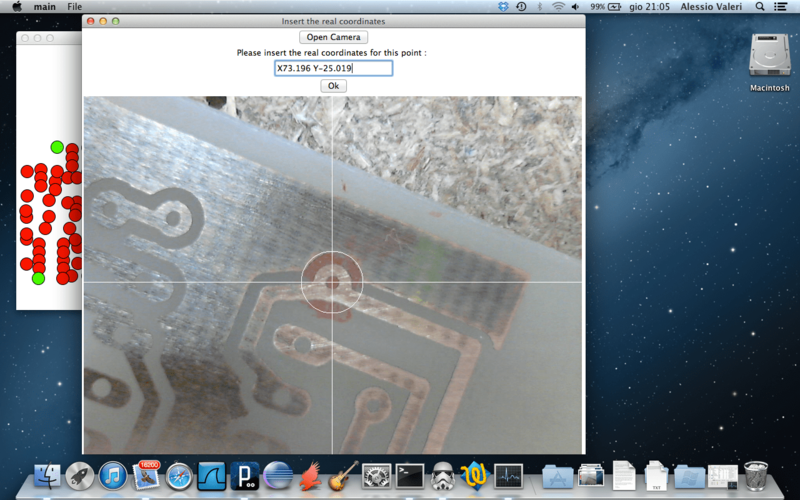 I’m working on a project where I will use image recognition to drill automatically the pcb. I am working on software by now, but my hardware setup wil be like yours.